This guide shows how to connect and export to KeyPay. Please ensure that you have a KeyPay API key and you follow KeyPay's connection guide. This guide will show the process of exporting to KeyPay. Ensure that you have a valid KeyPay account, and that you have retrieved your KeyPay API key. To get this, click here. 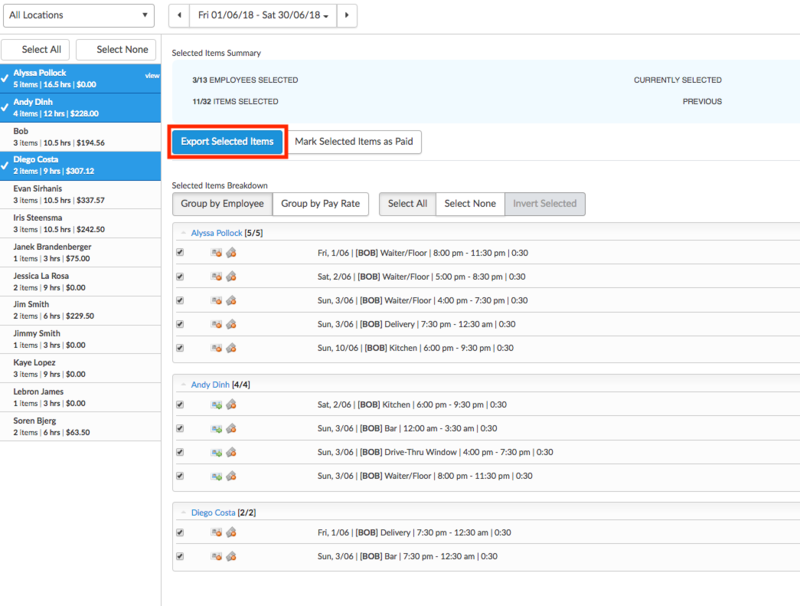 Ensure that you have approved timesheets, then head over to the 'Export Timesheets' section, select the timesheets you would like to export, then click 'Export Selected Items'. 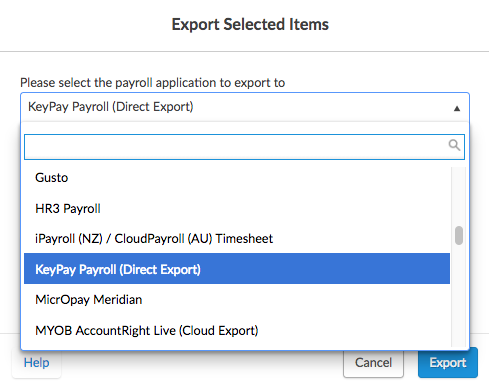 In the payroll drop-down menu, select 'KeyPay Payroll (Direct Export)'. 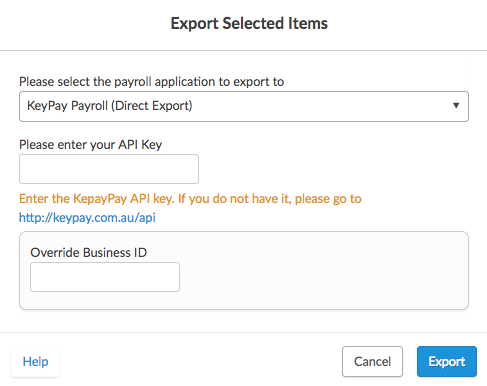 Enter your KeyPay API Key, then click 'Export'.